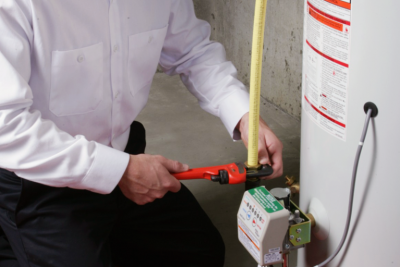 Tankless water heaters provide a continuous and endless supply of hot water while a traditional water heater risks emptying its tank long before you’re finished needing hot water. Have you ever found yourself last in line for a shower in the morning and ended up with nothing but cold water!? Thought so. You’ll never face that problem with tankless water heaters. 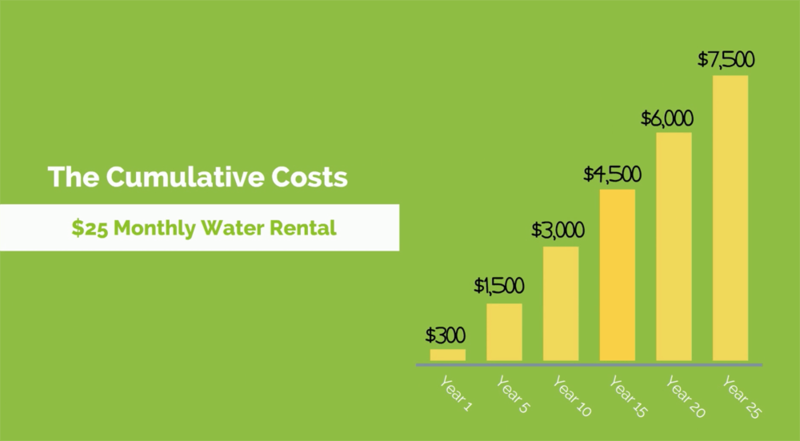 What About the Cost and Security of Renting? But how many other critical appliances in your home do you rent? Your washing machine? Refrigerator? Oven? Television? 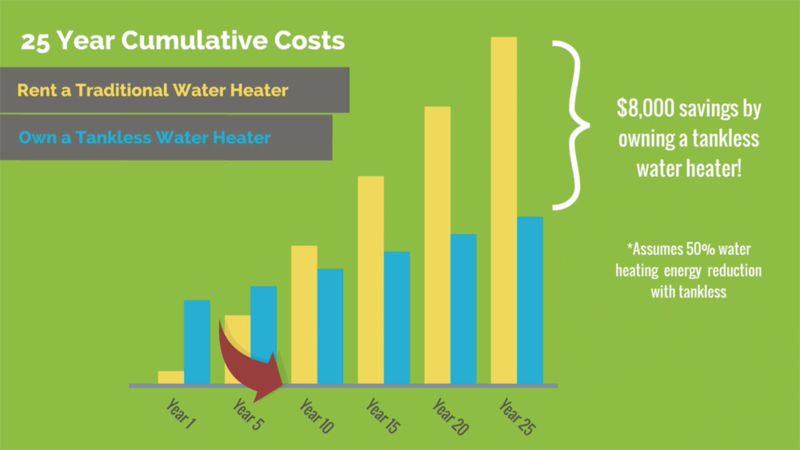 Why are we so comfortable renting a water heater but not all of the other appliances? And why do we settle for the rental companies outdated technology when we could be saving money by being more efficient and better for the environment!? We’re told we should rent a traditional water heater for the “security” of having the tank replaced for free should it ever fail. 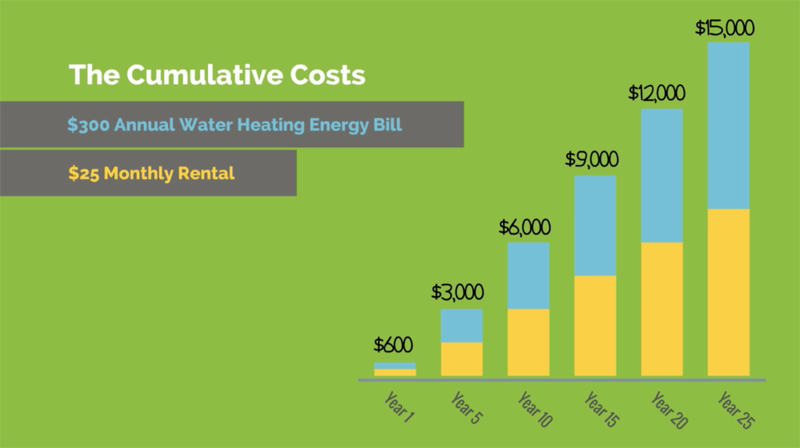 But you can see from the chart above (“The Cumulative Costs: $25 Monthly Water Rental”) that unless your water heater breaks down and gets replaced every 3 years then your replacement is far from free! How much do you spend each year keeping a large tank filled with hot water “just in case” you need to use it? Questions about installing a tankless water heater?